We are a leading Manufacturer of office stationary items from Noida, India. 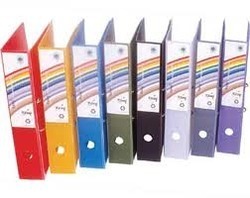 We are instrumental in offering Office Stationery Items. Our offered products are manufactured form quality assured materials and latest technology at our state-of-the-art production unit. Our offered items include note-pad, files, pens, papers and many others. Our offered products are available with us in various specifications and various sizes range as per clients’ requirements.